The attic. It’s the perfect spot in your home to keep things completely out of sight, especially if you rarely use them. But how often do you end up searching for something like your missing box of Christmas ornaments? But have no fear – we’ve come up with simple, easy-to-follow tips that will have your attic organized so you can spend less time in the attic and more time using what you went up there to find. Flashlights and floor lamps if your attic has poor lighting. Yellow or red tape to mark off unsafe areas of weak floor spots. Air-tight plastic bins in assorted colors. Storage cards for small items or craft supplies. Index cards to create box-specific inventory lists. Notebook to create an inventory list. Painter's tape to create attic zones. Permanent marker for labeling bins, boxes and marked zones. Trash bags for any damaged and unwanted items. Scissors to open unlabeled boxes. Before you set out organizing your attic, take note of everything you currently store there. How many boxes of Christmas ornaments do you have? What’s inside of that unlabeled box in the corner? Take time to open every box, and figure out what you’re working with. Pro Tip: If your attic doesn’t have free space to work, it may be necessary to move boxes downstairs until you have the room. Write everything down. If it’s in the attic, put it on your inventory sheet. Step 2: Define Attic "Zones"
Working from your completed inventory, group items that should be stored together and assign them a “zone”. Zones can be anything from a designated corner to a shelf in a storage rack. Just keep in mind that everything will need to fit within its defined zone, so take your time planning this out. Pro Tip: Assign each zone a color within your inventory sheet. This will come in handy when organizing items later. While attics seem like a perfect catch-all area, storing certain items there can do more harm than good. Anything that’s sensitive to temperature changes, humidity, dry air or dust should be kept elsewhere. Loose Paper and Books: Since the pages are porous, the humidity and heat present in attics can damage them. Extra Food: Non-perishable food items kept in an attic are an open invitation to rodents and other critters. Wedding Dress: Even when properly preserved, it’s better to keep this in the closet. Anything You Use Regularly: Whether it’s baking supplies or the vacuum cleaner, if it’s used on a regular basis, it shouldn’t be up in the attic. While you’re sorting, don’t toss items in the trash or donation bag simply because you rarely use it. Carefully consider why you have it stored in the attic in the first place, and if you should keep it there just in case. Update your inventory sheet to remove the items you won’t be keeping in the attic. After you finish sorting, it’s time to find a new home for the remaining items on your inventory list in the zones you chose. Vines recommends assigning each area a color to keep zones separate and organized. “Sticking to a color system like Christmas is green, and summer is red, can help minimize confusion and bring order to what you have,” she explains. Keep all related items within their area. If there isn’t enough room on that shelf or in that bin you originally picked, designate a different space. Avoid creating a “miscellaneous” area because that will undo a lot of the hard work you’ve already done. After you’ve done all the heavy lifting and decluttering, Vines suggests keeping the inventory list close to the attic entrance, or in a labeled file folder with other important home documents. With the inventory handy, you can quickly look up if you stored your summer wardrobe there or in the basement. “Once you are downsized to the right size for your life (and space), an inventory list is quite helpful,” explains Allan. She also recommends backing up your list on a cloud-based storage service like Google Drive or Dropbox. This is helpful when making an insurance claim should anything happen to your home. With these attic organization ideas, you’ll be able to find exactly what you’re looking for in no time at all. 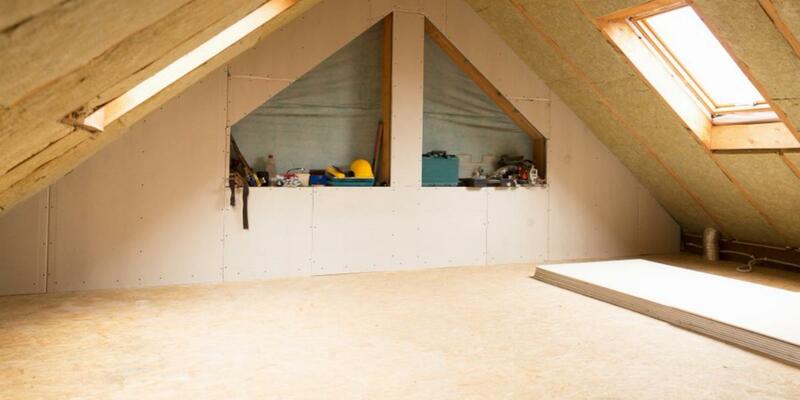 If you end up with more space in your attic after it’s completely organized, consider converting it into a usable space. Whether you turn it into an office, a game room for the kids or continue using it for storage –you’re ready to make this area work for you. Ready to move on from the attic and organize the rest of your home? Read advice from the experts covering your kitchen, bathroom, basement, garage and closet and decide what room you’ll tackle next. Not sure how to decide what to get rid of when moving? 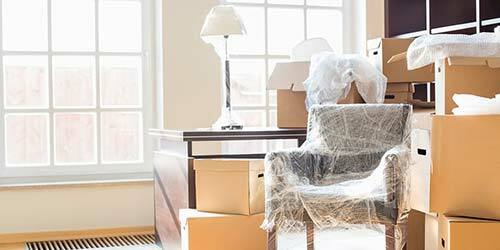 You’ll spend less money and have more space in your new home when you follow our declutter checklist and tips for paring down your belongings. Everyone has junk drawers, basement storage tubs and attics filled with things we don’t want to use—or even look at. 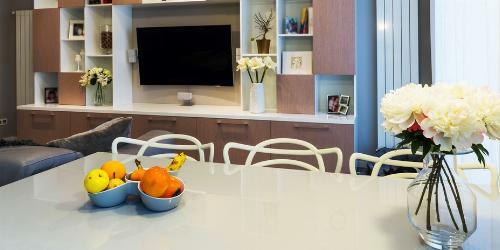 But what happens when clutter starts to spill over into your living space?